1. 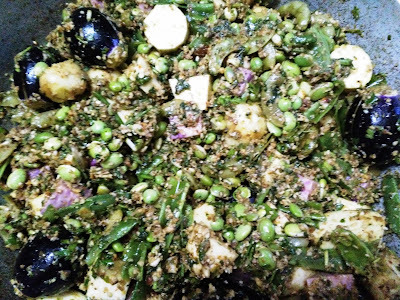 Mix all cut vegetables in a heavy bottom pan or kadhai . 2. 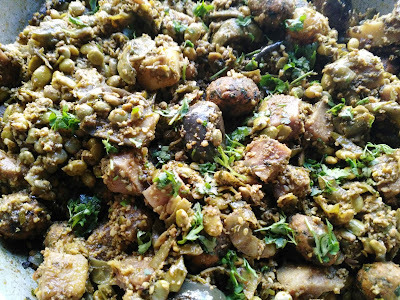 Add coriander, coconut, chopped green garlic, carom seeds, peanut powder & all other masala ingredients & prepare masala mixture. 3. Add the masala into cut veggies. 4. Add olive oil & mix again properly. 5. Keep on medium flame for 7-8 minutes & reduce the flame & start cooking. 6. Prepare methi balls by adding besan & mix in above vegetables. 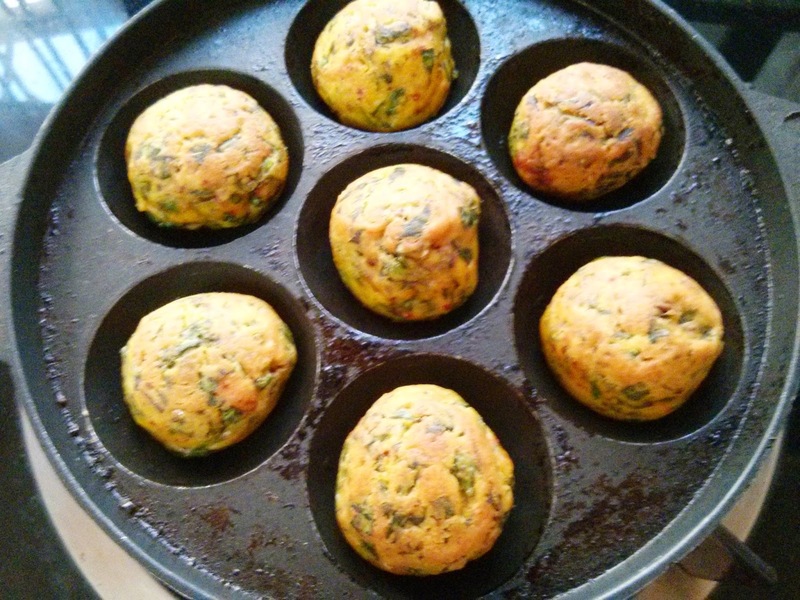 I have prepared Methi balls in Appe pan. Used only a drop of oil. 7. 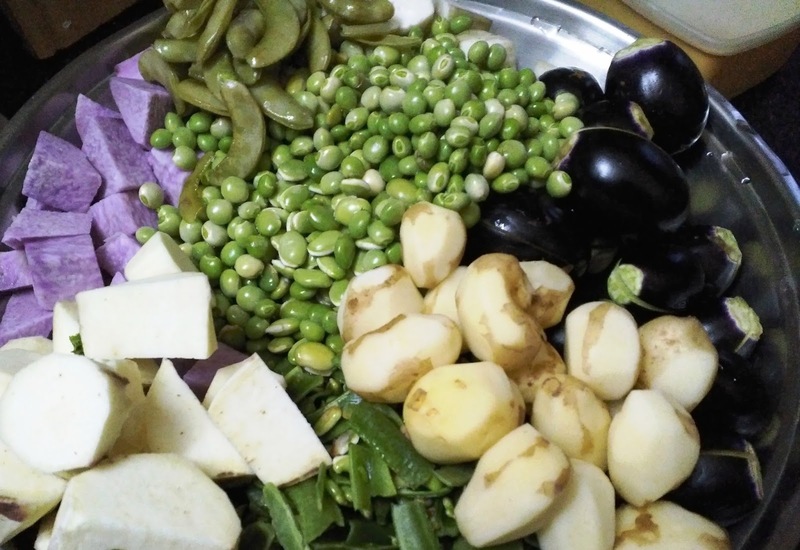 Cook until all vegetables are cooked soft. 8. Turn off the flame . 9. You will start experiencing nice mouthwatering aroma out of this vegetable. 10. Keep for 5-10 minutes. Enjoy with bajri roti or hot phulkas !! !